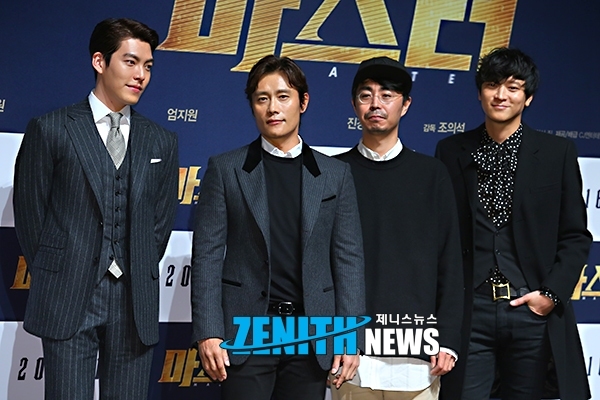 Korean movie “Master” starring Lee Byung Hun, Kang Dong Won, Kim Woo Bin, Uhm Ji Won and Oh Dai Su. The lineup is very strong. 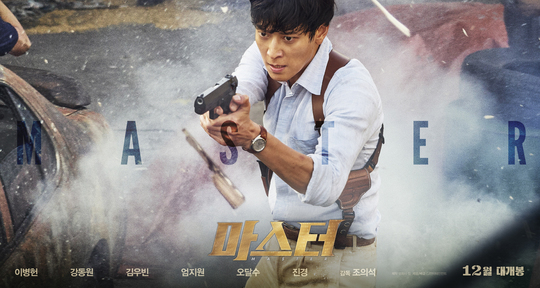 One of Korea’s recent worth noting “awesome” movies. Plot: The largest fraud case in Korea since the founding of Korea as a Republic. 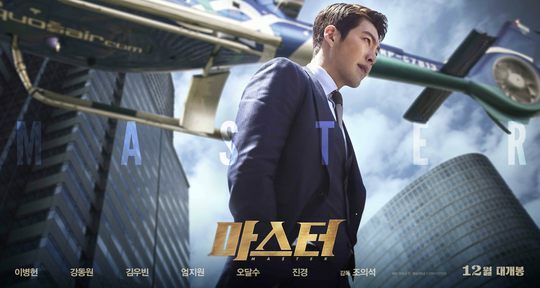 A showdown between the crime investigation team leader (Kang Dong Won), and the fraud Group One network’s CEO (Lee Byung Hun) and strategist (Kim Woo Bin). 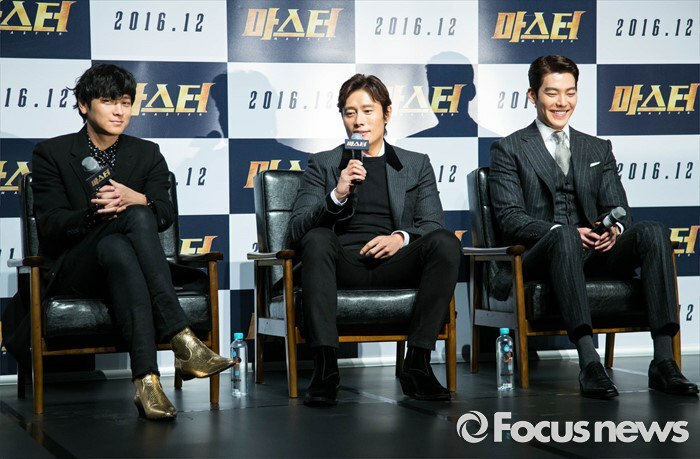 The movie will start showing in Hong Kong on 2016.12.29 in Korean with Chinese sub-titles. So that means it will debut in SK around that time or week/two weeks earlier, I guess. Good news. It's also earlier than I expected. 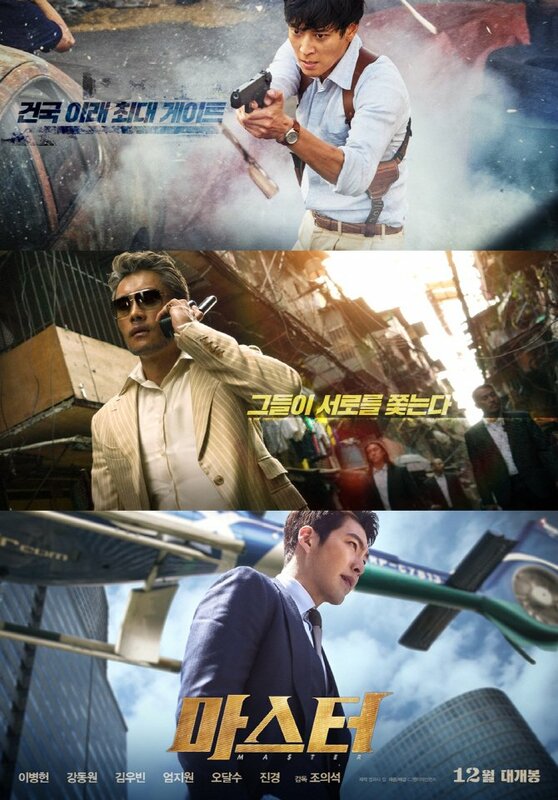 Some of the biggest names in Korean cinema are coming together in an upcoming production. 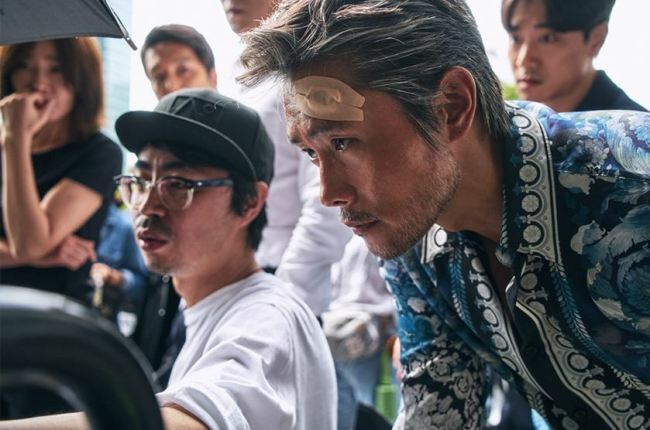 Directed by filmmaker Jo Ui-seok, “Master” will feature heavyweights Lee Byung-hun, Kim Woo-bin, Gang dong-won, Oh Dal-su and others. Jo is best known for crime thriller “Cold Eyes” (2013), which was nominated for best cinematography at various international film festivals. Hollywood breakout actor Lee, who most recently starred in a remake of 1960s classic “The Magnificent Seven,” returns as businessman Jin, whose company is mired in an expansive fraud case. 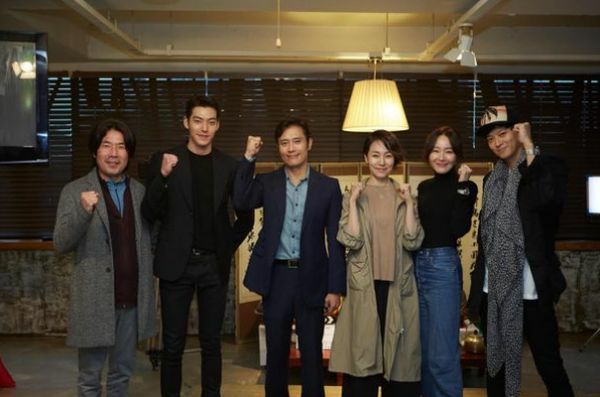 Gang, who appeared in local blockbuster “A Violent Prosecutor” earlier this year, plays Kim Jae-myung, the lead investigator on the case. Acting as the mastermind behind the fraud and Jin’s right-hand man is actor and model Kim Woo-bin, who is returning to the big screen for the first time since starring in international hit drama series “Uncontrollably Fond” earlier this year. Set in Korea and the Philippines, “Master” is scheduled to open in local theaters in December. 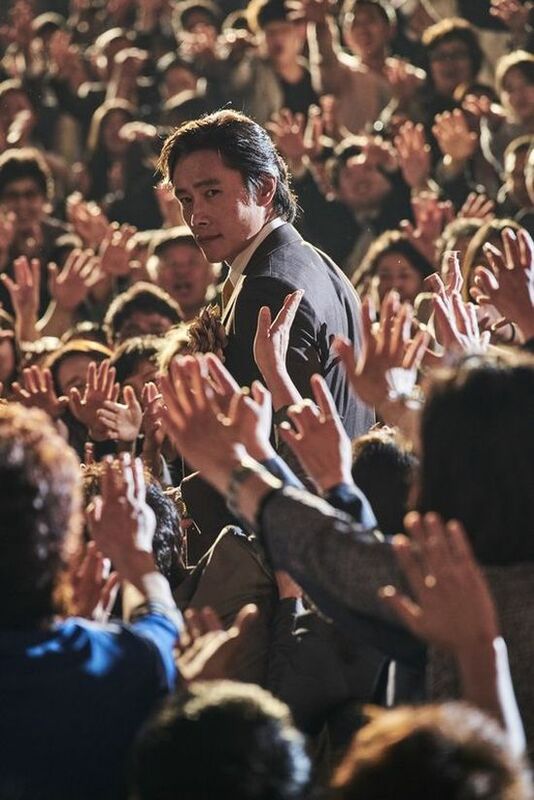 South Korea’s leading investor-distributor, CJ Entertainment, has scored multiple deals for “Asura: The City of Madness,” “My Annoying Brother,” and “The Housemaid” ahead of the American Film Market. Hardboiled crime actioner “Asura” has been acquired for distribution in several territories in Asia, following earlier theatrical releases in Australia, New Zealand, and North America. Directed by Kim Sung-soo, “Asura” was sold by CJ to Splendid for German-speaking Europe, and to Medyavizyon for Turkey. Within Asia it was picked up by Deltamac for Hong Kong and Macau, Long Shong for Taiwan, M Pictures for Thailand, Viva Entertainment for The Philippines and by Bloomsbury for Mongolia. JBG Pictures picked up the film for Australia and New Zealand, where it opened on Oct. 13. It had its premiere in the Toronto film festival and opened in North America via CJ America on Oct. 7. The company’s upcoming family drama “Brother,” starring top K-pop idol band EXO’s Doh Kyung-soo (a.k.a. D.O. ), was licensed to Deltamac, Viva, and Bloomsbury. Cai Chang acquired “Brother” for Taiwan. CJ’s international branches will handle its theatrical releases in China, Indonesia, Vietnam, and North America. JBG Pictures, Cai Chang, Viva and Medyavizyon also acquired CJ’s co-production with Vietnam, “Housemaid,” which opened in Vietnam through VSTV in September. 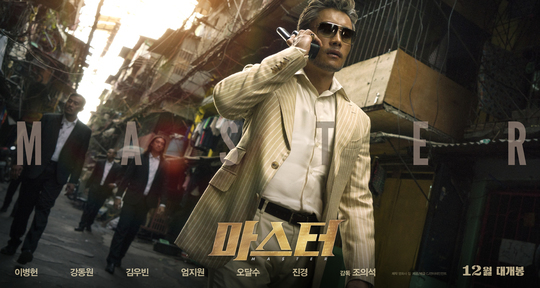 At the American Film Market, CJ is unveiling crime action drama “Master,” starring some of Korea’s biggest screen stars such as Lee Byung-hun (“The Magnificent Seven”) and Gang Dong-won (“The Priests”); and action comedy “Saigon Bodyguards,” the company’s another ambitious co-production with Vietnam. Kim Woo-bin spoke about his dexterous hacker role in the upcoming film “Master” in a report on Wednesday. In the upcoming thriller movie, Kim plays hacker who is the close aide of a fraudster-business mogul, played by Lee Byung-hun. 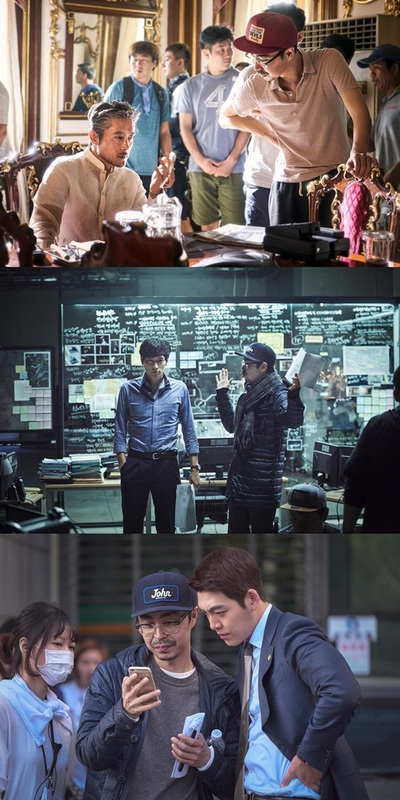 Gang Dong-won takes on the role of the detective who pursues the fraudster. 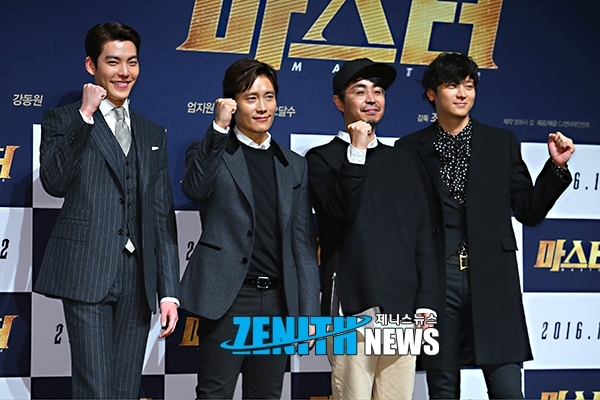 Kim offered a slew of ideas to portray the passionate 20-something, according to director Cho Eui-seok. “His ideas have contributed to making the role rich in emotion,” Cho said. 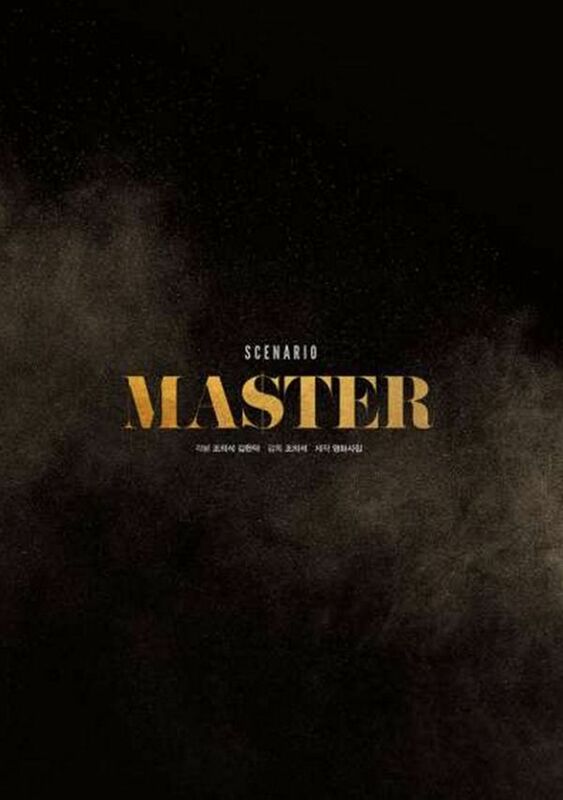 “Master” is set to premier in local theaters in December. Can't agree more, it's better than expected when word first came out that he's sporting grey-ish hairstyle.